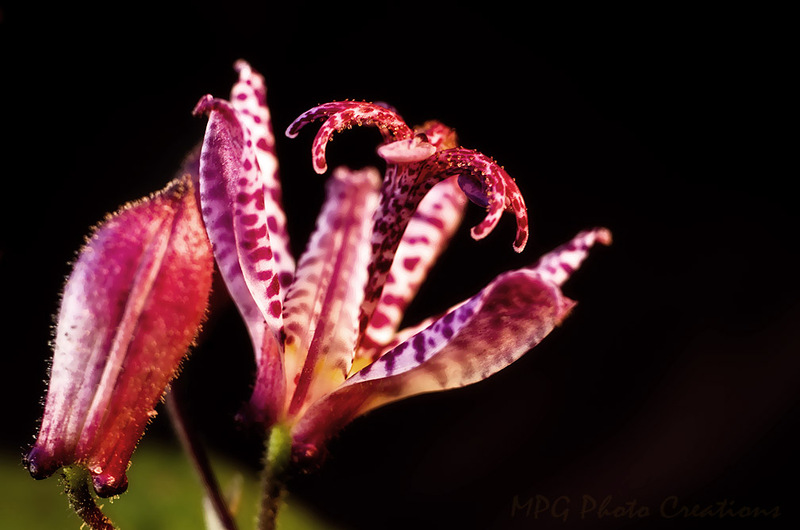 This is another version of the Toad lily flower that I was able to capture in bloom late last summer. This one I darkened the background just by manipulating some of the light in Photoshop. These are quit interesting flowers, look like they must be in the Orchid family.